If you’re interested in learning about a particular topic related to your profession, many publications, groups and associations offer webinars, or webcasts, for free or for a minimal charge, or they are included in association membership fees. Some may also be eligible for CEU credits. Webinars are usually one hour or less in length and can be accessed with a computer or mobile device. Most webinars are presented live on a particular date. If you are unable to attend the webinar on the date it is scheduled, most webinars are housed for a period of time after the event and are available on demand, where you can watch it at your leisure. All webinars require the attendee to register with name and contact information, and a few questions related to the topic of the webinar may be asked as well. The topics vary greatly, and depending on your interest, there are numerous sources for webinars and webcasts. You can easily do an internet search for a topic, or if there is a particular publication that you read every month, check out their website for any webinars that you would be interested in attending. 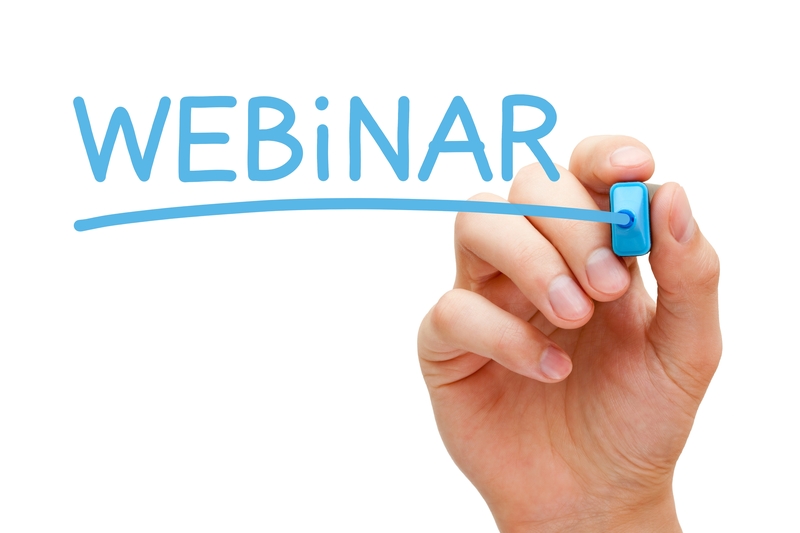 You may even be able to get on a list to be notified of upcoming webinars. Or, if you belong to an association, watch for announcements of future webinars in any newsletters. So if you have some downtime and want to increase your knowledge in the area of your profession, try attending a webinar presentation.